Although the observed behavior of a few Parisians might suggest otherwise, feeding the feral pigeons is illegal and subject to hefty fines. Feeding causes overpopulation until the birds become messy, aggressive pests. Pigeon poop damages statues and other monuments, makes park benches unusable, and is unsanitary (and slippery when wet!). 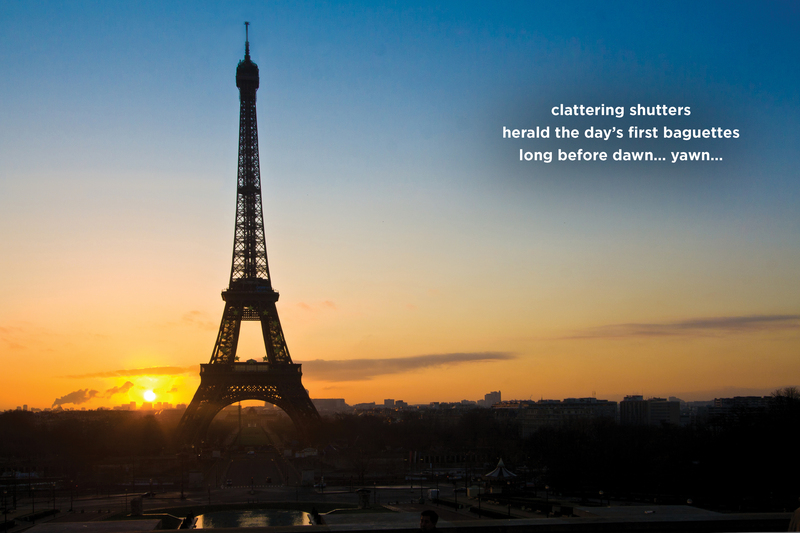 So, eat your baguette, but don’t share any with the pigeons! 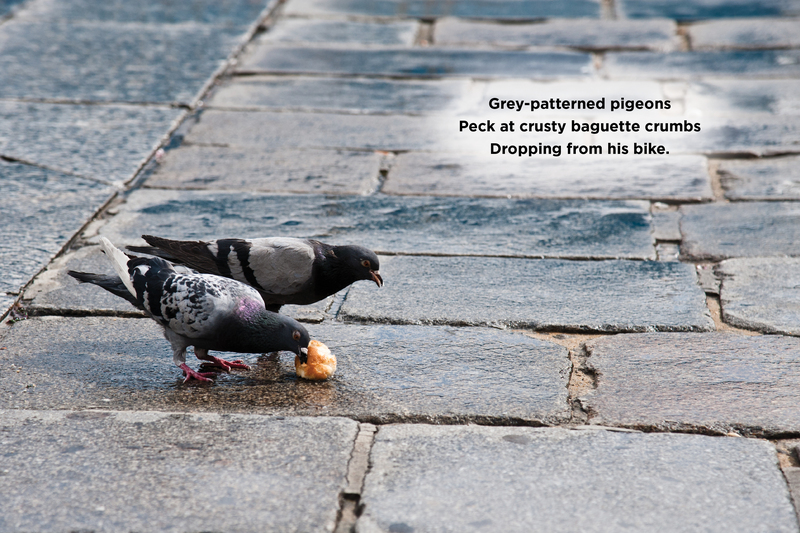 Of course, if you carry your baguette home in your backpack, or sticking out of the saddle-bag or basket on your bicycle, the few crumbs that break off will be welcomed by our feathered friends. Still raised as a hobby by enthusiasts, many are quite pretty.